Camping is fun and exciting. However, it cannot be denied that there are many people who dread such because of being devoid of the luxuries that will ensure your highest level of comfort when outdoors. Among others, you won’t have a soft bed to sleep on! There should be no problem. 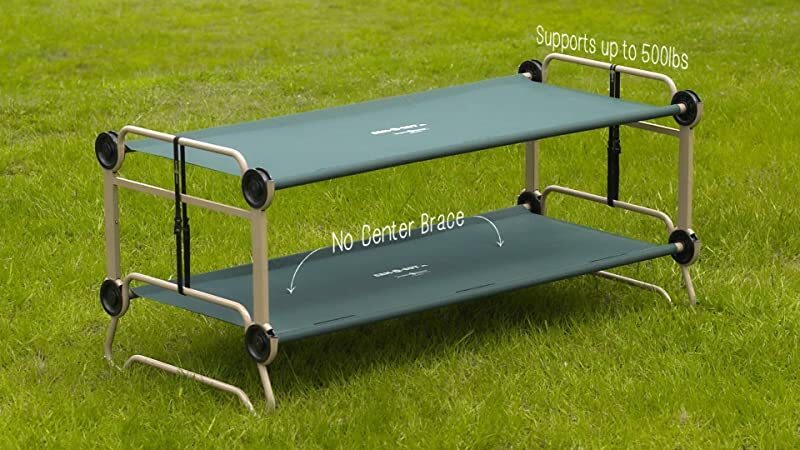 A camping cot has the answer! The best camping cot is one of the must-have gears for any outdoor enthusiasts. No idea which one to pick? Keep on reading and learn from some of our recommendations. Using any of these products will make camping more enjoyable and comfortable. Whether you sleep inside or outside the tent, a cot is essential! To help you out, below are some of the best brands and models that should be on your radar, as well as the reasons why they are great. Among others, one thing that gives this an advantage over many of its competitors is the large sleeping area, making sure of your highest level of comfort. In fact, the size is larger than a twin bed. This is perfect even for large and heavy users as the maximum capacity of the cot is up to 600 pounds. The strength of the cot is also hard to rival, providing an assurance of its ability to withstand the test of time. It comes with steel legs that can support the weight of the user. Aside from the patented leg design, it also has rubber bushings, which are the ones responsible for providing firm support and absorbing shock. Meanwhile, the frame is made of aluminum. The sleeping surface, on the other hand, is made of canvas fabric. This is known for its durability and comfort. While it can be quite a task to carry this large camping cot, a lot of its users have noted how the assembly and disassembly can be completed in a snap. You can do it without the need for asking a helping hand. Lastly, for your peace of mind, it is also worth noting that it comes with a limited lifetime warranty from the manufacturer. This sleeping cot comes with an extra-large sleeping surface and high weight capacity. 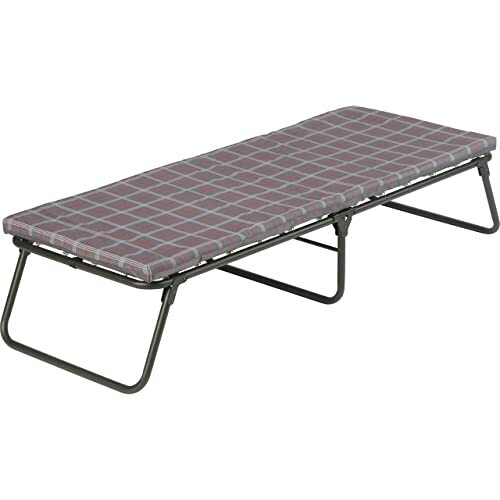 Nonetheless, because of its size, it is quite heavier compared to other camping cots. This is made by a company that has made a name in the market for outdoor gears, so there is no reason to not include this on your list. Based on the technical details from the manufacturer, it can fit people who are up to 5 feet and 7 inches. The maximum stated capacity, on the other hand, is 275 pounds. Another good thing about the camping cot is the portability, making it effortless for you to bring it wherever you intend to go camping. This is basically because it has a sleek body. Once it is folded, it can easily fit in the trunk of most cars. The foam mattress pad that comes with this cot is also notable. It is thick but lightweight. This will ensure a more comfortable sleep as against many other cots where the surface is only canvas and has no foam. To make it more comfortable, the cot also comes with an exclusive technology known as ComfortSmart coil suspension, which makes it feel like an actual bed. This camping cot comes with a one-year warranty from the manufacturer. Made by a trusted outdoor brand, this camping cot has a comfortable padded mattress. It is lightweight and portable, making it easily fit in the trunk. If you are looking for a compact and lightweight camping cot, this is another option that should be on your list. It is compact when folded, which makes it easy to transport to the campsite, so there is no more excuse to not sleep in comfort when you are outdoors! There is also a carry bag that is included for transport and storage. In terms of construction, it may not be as durable as its more expensive counterparts, but the quality is already decent enough for the price. It has a powder-coated frame. It makes the bed stable on most surfaces. This is as against others that are prone to being wobbly with every movement that is made when sleeping. For your sleeping comfort, while there is no mattress included unlike in the model from Coleman that has been mentioned above, it is made of 600D fabric. The head section is padded, which will provide elevation without the need for a pillow. One of the add-on features that make a lot of difference in this cot is the storage pocket on the side. It provides a safe and convenient space to keep your phone and valuables. Made of a thin fabric as the sleeping surface, one of the best things about this is that there is a side storage pocket for your stuff. If you are a budget-conscious-buyer, this is one product that should be on your radar. This is one of the cheapest from the products that are mentioned in this post. Nonetheless, despite the price, there is no need to worry about its quality. It comes with a powder-coated steel frame, which is proven to withstand the test of time. One thing worth mentioning about this camping cot, however, is the low-profile design. It sits approximately only about seven inches from the ground. This is great for people with mobility problems while others might find it too low. Nonetheless, because of this design, it is also lightweight and portable since there are no bulky legs. 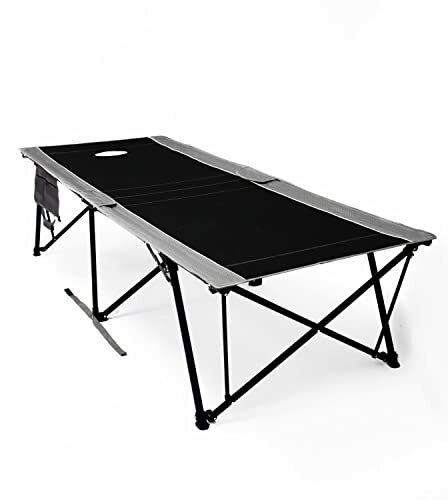 Based on the specifications from the manufacturer, the maximum weight capacity is 225 pounds. Take note that this is not for heavy users. Also, the sleeping area is only 74 x 30 inches, which can be perfect even for tall users. In fact, it can comfortably sleep people with a height of up to 6 feet and 4 inches. One problem commonly reported about this product is how the assembly will require quite an effort on your end. Right out of the box, it does not come pre-assembled. You need to install the legs and the cover on your own. This is the ideal choice if you are looking for a budget-friendly camping cot. It has a low-profile design with a height of less than 7 inches. This has a unique design compared to the four others that have been mentioned above. One of the best features is the design that allows you to convert it into a bunk bed. It can also be used as a seat or two separate cots, making it an excellent choice when it comes to versatility. Because of this, however, it is quite heavier and bulkier compared to other camping cots. 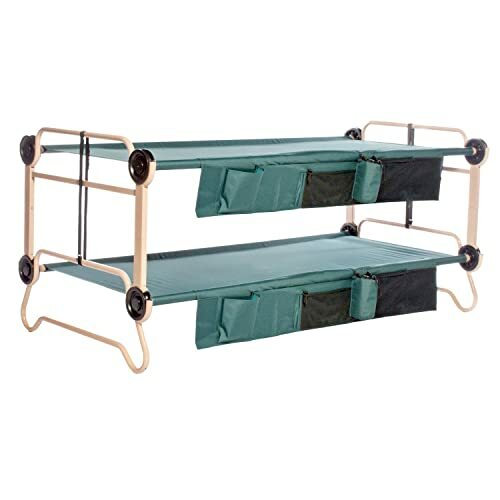 In terms of construction, there is also no need to be in doubt about the quality of this camping cot. The rails are made of powder-coated steel that is not prone to rust Because of this, each cot has the maximum weight capacity of 500 pounds. The sleeping deck, on the other hand, is made of premium polyester. It is firm and has a natural contour that makes it comfortable. The sleeping surface is also oversized with a length of 79 inches and width of 35 inches. More than having a generous sleeping surface, it is also a good thing that it comes with organizers that can be directly hooked on the side of the cot. This might be an expensive choice, but the price is sure to be worth it. The cot can be converted into a bunk bed, is made using high-quality materials, provides a comfortable sleeping surface, and has organizers. 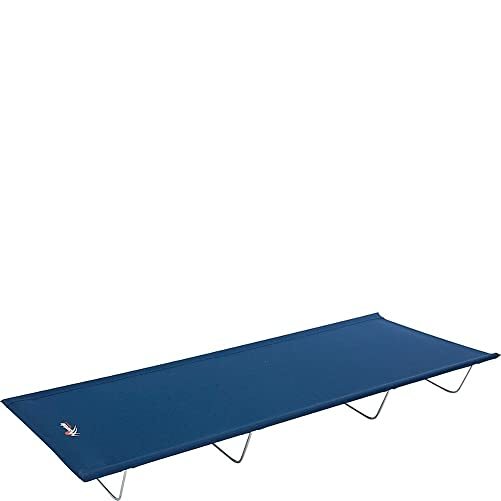 No Sleeping on the Ground: The best thing about a camping cot is that you do not have to sleep on the ground, which is often hard on the back. It provides an elevated sleeping surface, almost similar to a bed. Some even come with a mattress or foam, making sure of your highest level of comfort. Lightweight and Portable: Another good thing about camping cots is that they are not a burden for you to carry around. Depending on the product that you will choose, it does not need to add too much weight in your camping gears. Storage Space: This will depend on the design of the camping cot that you will buy. Many models come with a small pouch on the side for safely stashing your phone and wallet, among others. Capacity: Take note of the stated weight capacity provided by the manufacturer to be sure that it is suitable for your weight. Strength: The overall construction is important as it directly impacts the durability of the camping cot. Pay special attention to the material used in the legs. The fabric used in the sleeping surface is also critical. Comfort: To sleep comfortably when you are outdoors, it will be good if the cot comes with a foam or mattress. If it is only a fabric, it should be comfortable enough. A padded headrest will also be good. Storage: There are some cots with organizers on the side, which will come handy in making your phone and valuables safe and accessible. Portability: No one wants to bring a bulky and expensive gear when camping. With this, see to it that the camping cot is sleek and lightweight, making it effortless to carry or transport. Ease of Assembly: It can be annoying to have a cot that requires a lot of time and effort to assemble. Look for one that will be almost effortless for you to put together. If your tent does not come with a headrest, it would be best to bring pillows so that you will be more comfortable. Inflatable pillows are great since they are portable. Be mindful of what you eat before bed, which will depend on the season. During cooler months, eat warm foods. Fatty foods are to be avoided since they are difficult to digest and can disturb your sleep. Dress the right way before you sleep. The right clothes to wear when sleeping will depend on the season or the weather. Bring earplugs. This will be especially helpful for those who get easily disturbed by little noises. Choose the right location where to set up the cot or where to sleep. Stay away from places near swamps or ponds to get rid of mosquitoes or bugs. 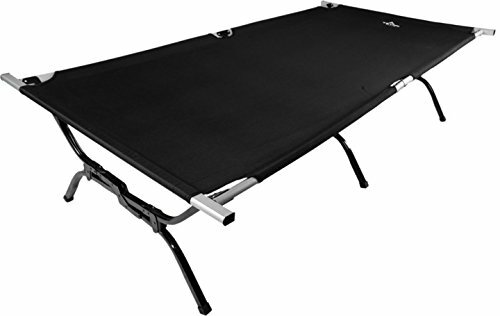 A camping cot is basically a camping bed that you can easily take with you outdoors. They are lightweight and portable, providing campers with a comfortable place to sleep. Keep an eye on the products that we have briefly reviewed above to make a decision that you won’t regret. Using any of these beds will guarantee an exceptional camping time!